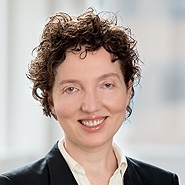 Irena Royzman will be presenting at the American Conference Institute’s 5th Annual Women Leaders in Life Sciences Law conference. On Friday, July 27, Ms. Royzman will be speaking on a panel addressing career advancement for women. To learn more about ACI’s Women Leaders in Life Sciences Law Conference, or to register, click here.